The marker is located at 504 Flood Street, Wichita Falls, Texas, 76301. GPS: 33-degrees, 54' 54.65" N, 98-degrees, 28' 48.27" W.
Link to the C B Fuller ceremony posted by Michael Fuller on YouTube. 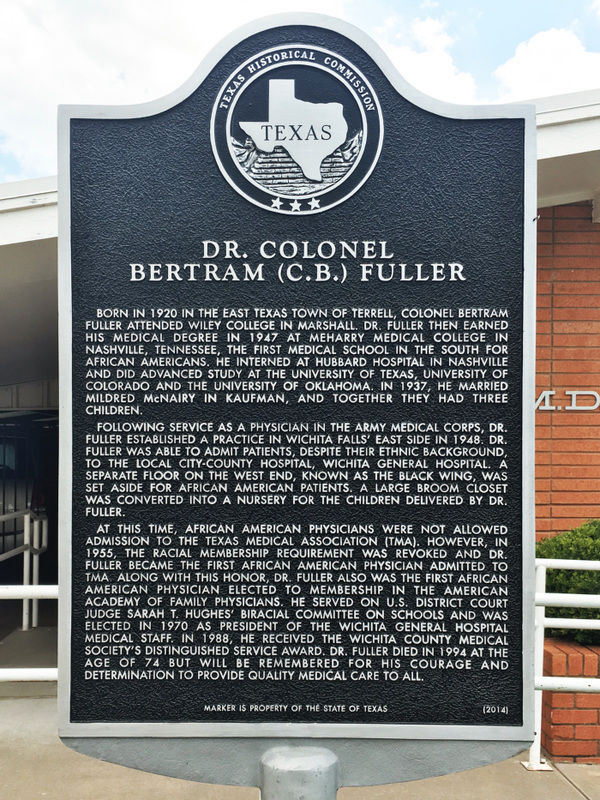 Born in 1920 in the east Texas town of Terrell, Colonel Bertram Fuller attended Wiley College in Marshall. Dr. Fuller then earned his medical degree in 1947 at Meharry Medical College in Nashville, Tennessee, the first medical school in the South for African Americans. He interned at Hubbard Hospital in Nashville and did advanced study at the University of Texas, University of Colorado and the University of Oklahoma. In 1937, he married Mildred McNairy in Kaufman, and together they had three children. 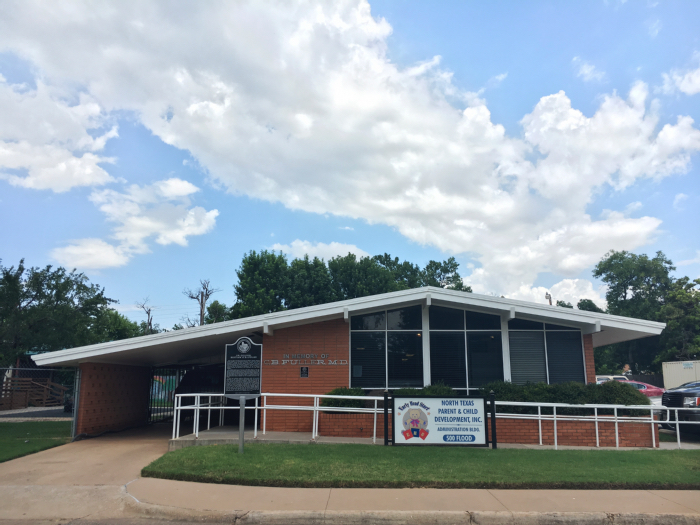 Following service as a physician in the Army Medical Corps, Dr. Fuller established a practice in Wichita Falls' East Side in 1948. Dr. Fuller was able to admit patients, despite their ethnic background, to the local city-county hospital, Wichita General Hospital. A separate floor on the west end, known as the black wing, was set aside for African-American patients. A large broom closet was converted into a nursery for the children delivered by Dr. Fuller.